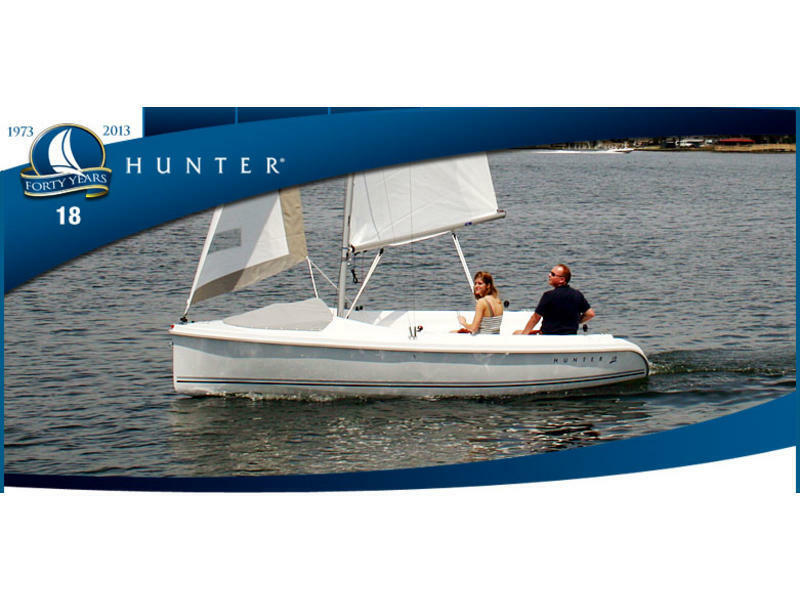 The Hunter 18 is designed to serve a wide spectrum of sailors, from novices to salty veterans. Constructed of rugged, durable fiberglass, the 18 opens up endless possibilities on the waters around you. The vessel is offered in good faith but cannot be guaranteed or warranted with regards to the accuracy of this information nor warrant the condition of the vessel. A buyer should instruct his agents, or his surveyors, to investigate such details as the buyer desires validated. This vessel is offered subject to prior sale, price change, or withdrawal without notice.